Hi Dolls. 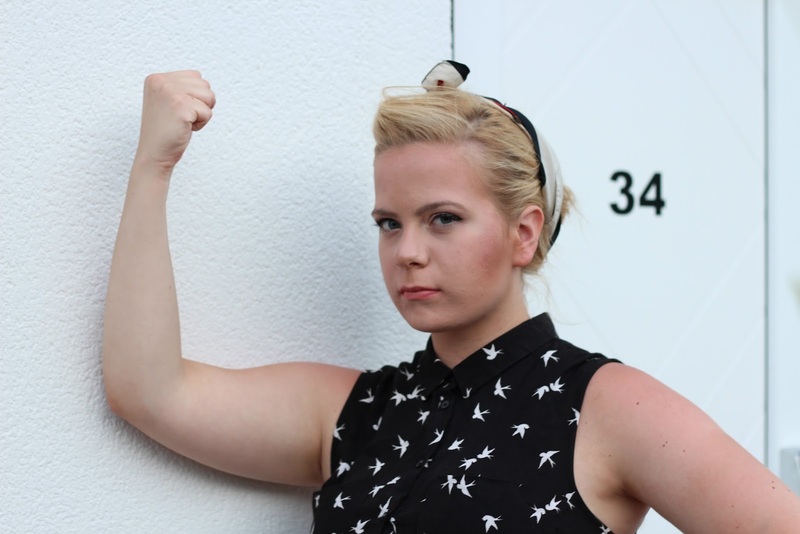 Today's photos were inspired by the pin up girls during the 2nd world war, who promoted the slogan: We can do it. I always love to dress like this, because it's really fun and also very "in" at the moment. 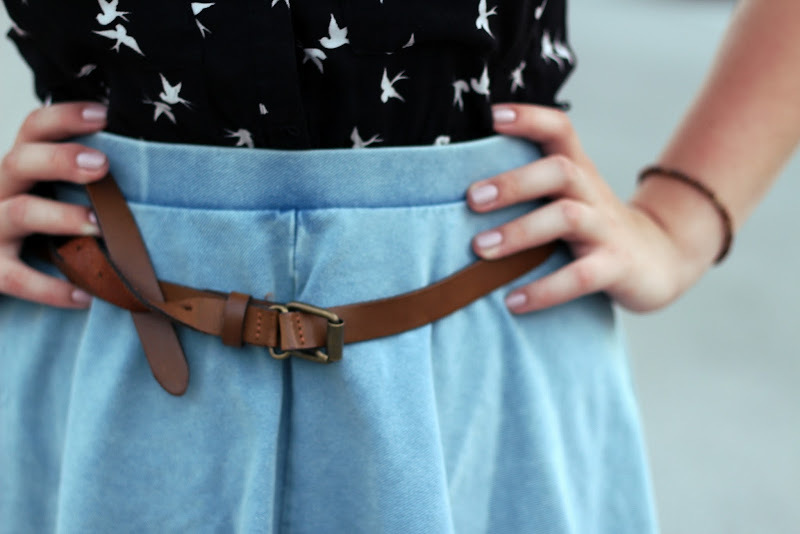 I'm wearing H&M dress (used as a top), TopShop denim, circle skirt, Startar shoes and vintage belt and headband. Oh and excuse my sunburn, because I realised that I had it after a long swim in a pool. What do you think about the pin up girls and these photos? Let me know by commenting below.